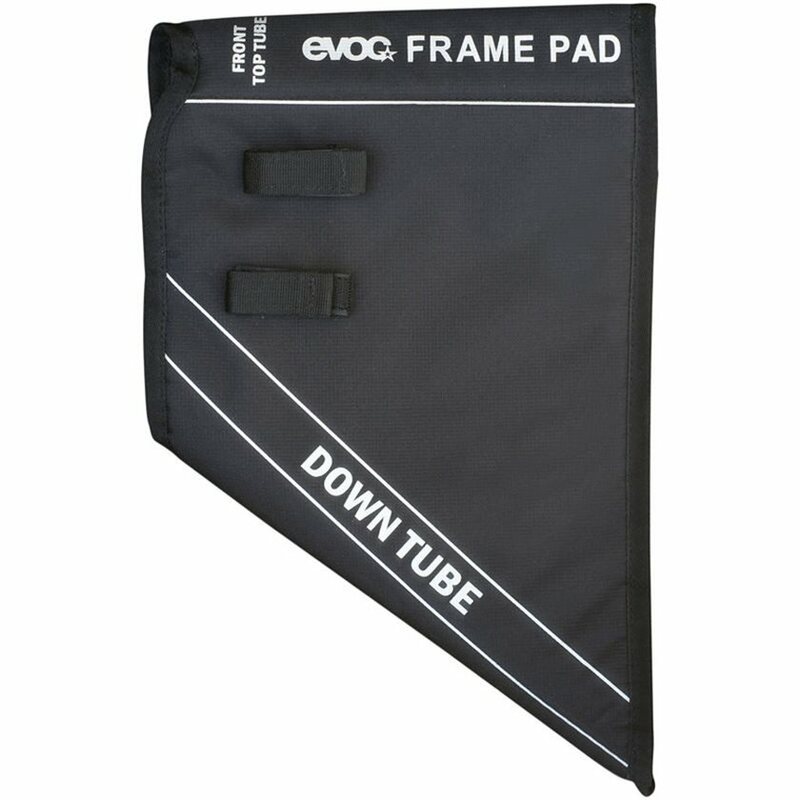 The EVOC Frame Pad is designed to protect your frame from damage during transport. The EVOC Frame Pad attaches to the front end of your bike's top tube and down tube, protecting your bike from scratches commonly associated with packing a bicycle for shipping or transport. Two straps on the side of the pad provide a convenient place to attach handlebars and keeps them firmly in place in your box / bike carrier.